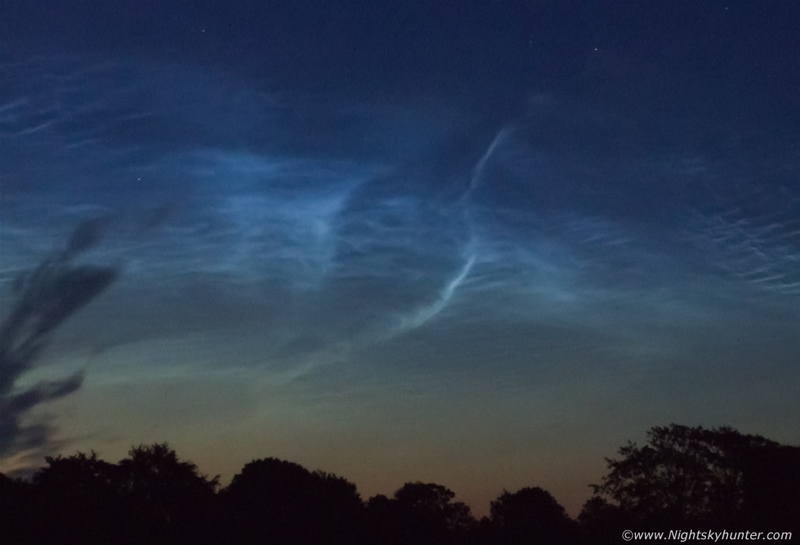 A Noctilucent 'Sea Shell' glowing electric blue above the tree tops lining the northern horizon from the Maghera countryside on June 15th 2006. Taken my old Fujifilm Fine Pix S5600 5MP bridge camera. * All images are available for sale in the form of photo prints, canvas or digital files for licensing, if you are interested in a purchase simply drop me an email.